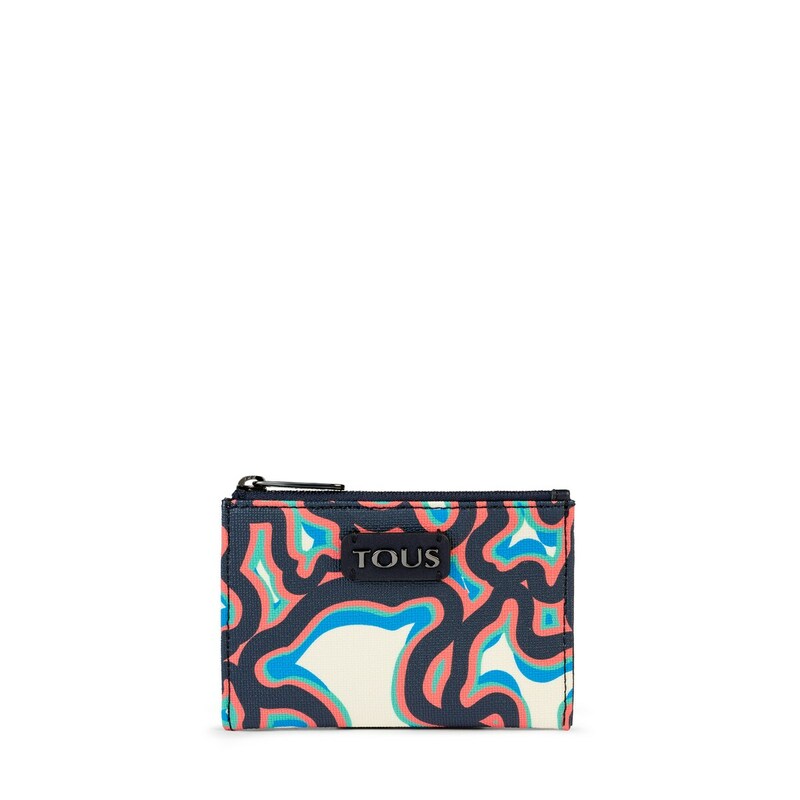 TOUS Kaos Unique change purse and cardholder in navy blue and multicolored printed vinyl. 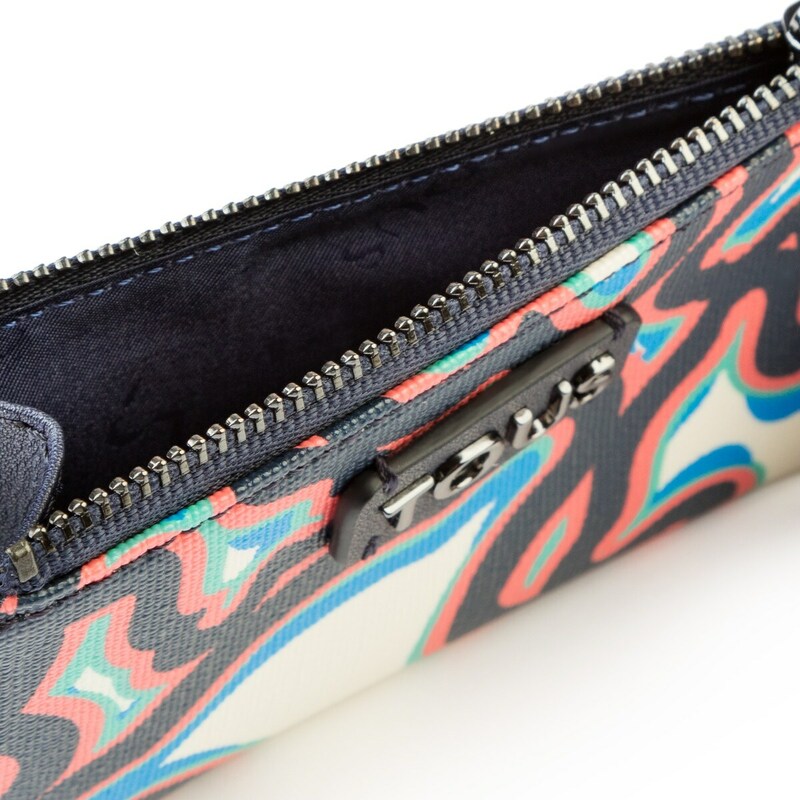 1 pocket with zipper and 3 compartments for cards. 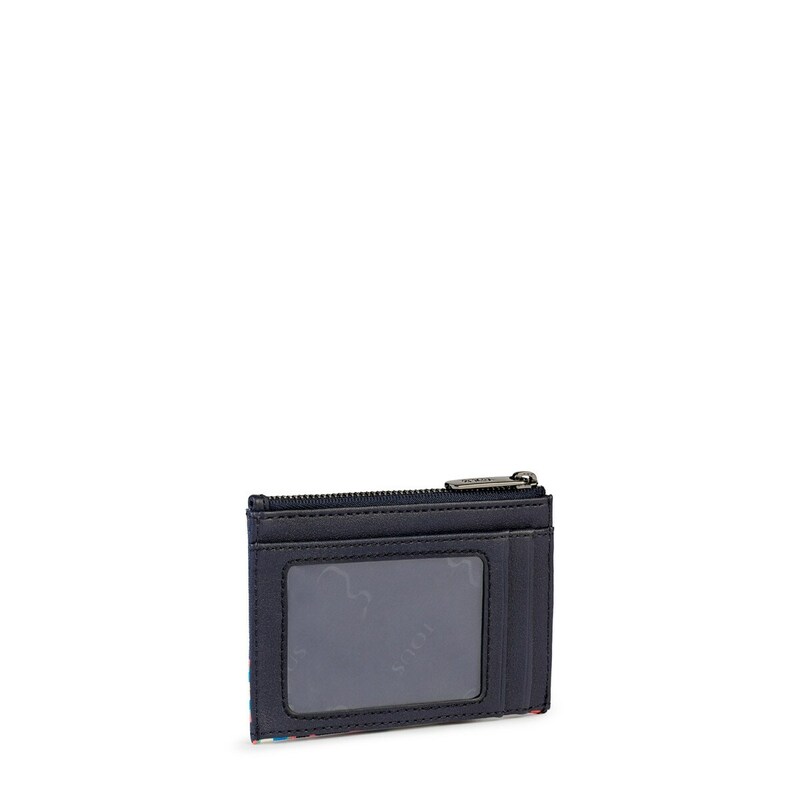 Measurements: 8x11.5x1 cm.